When showcasing cars, the more info you can share the better. The BePro Listings wordpress plugin helps you to list your entire vehicle inventory including categories, photos, and details. Via addons like our, vehicles, videos and documents, users can learn a lot. For most people, BePro Listings provides more than enough. It comes with front end upload, galleries, ajax search filter, cost, google maps and a long list of other features. With its various admin configuration options, this flexible plugin can be used to list just about anything. If you need to list vehicle specific information like, year and miles, you should consider our BePro Listings Vehicles addon. It integrates with various BePro Listings, focusing the plugin on listing vehicle specific listings. If you need even more control over the type of data customers submit, you can use our Form Builder addon. This addon is ideal for those who need to change the language, format, fields, etc for the submission form. Once you have listings setup, you want to share as much information as possible. Videos have quickly become a very popular way for users to view content online. Video producing sites are among the top 10 ranked websites in the world. With our wordpress video plugin, you can easily add video content from youtube, vimeo and other popular video sites all via their video link. When viewing vehicles in real life, users always expect a fact sheet and or carfax report. Our documentation addon allows you to attach this info to each listing. Users can then easily see important information before contacting you. One thing to note is that all media addons require that you have our BePro Listings Galleries addon. 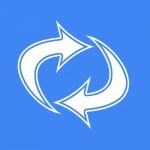 As the name suggests, it takes the free BePro Listings image features to the next level. Part of this is its ability to show videos from our video addon, right next to the images in its slider. Regardless of what type of vehicle you are listing, BePro Listings offers lots of ways to implement your goals for functionality. 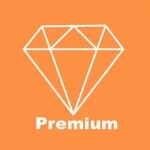 This plugin integrates into most themes and deploys a plethora of features for FREE. Once you are 100% sure this is the platform for you, we offer lots of ways to extend the experience including media options.